Forget portraits or ‘impressionism’ - this is art we can like. 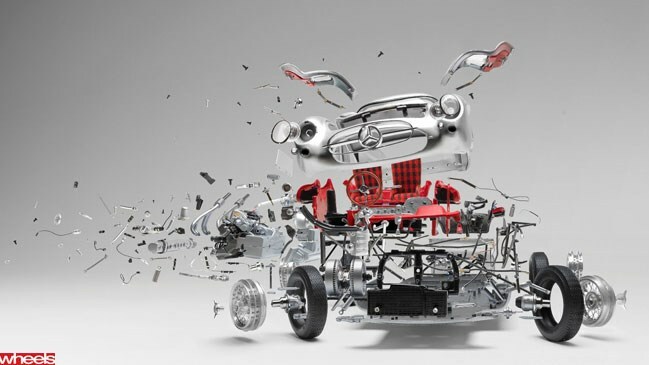 The brain child of Swiss photographer Fabien Oefner, this new series of images captures classic cars like the 1961 Jaguar E-Type, 1962 Ferrari 250 GTO and Mercedes-Benz 300 SLR ‘exploding’ or ‘disintegrating’. And if you think the images look complicated – they are. Oefner has blended hundreds of shots of completely dismantled model cars, with pieces positioned in perfect detail by fine needles and string. Apparently it took almost two months to create each image but we’re glad he went to the effort. Oefner’s work is currently on display at the MB&F MAD Gallery in Geneva until May 2014.